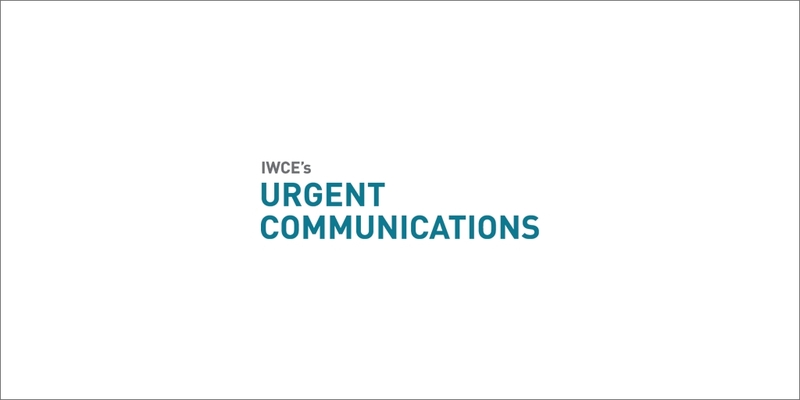 Push-to-talk-over-cellular (PoC) technology can allow enterprises to halt investment in LMR systems for non-mission-critical users today, but PoC solutions and broadband networks need to evolve before similar decisions could be made for mission-critical personnel, panelists said during a recent IWCE webinar. Brad Stoddard, director of Michigan’s Public Safety Communications System, said PoC certainly can be a viable option to LMR for non-mission-critical users, but he stressed that decision makers must carefully evaluate the users’ requirements and whether PoC coverage and capabilities meet the requirements in their geographic areas. “I think it’s easy for someone to say, ‘Well., the [PoC] technology is there, so we shouldn’t have to invest anymore [in non-mission-critical LMR systems],’ but it’s really based on what the capabilities are of that carrier and technology,” Stoddard said during the webinar. “If it’s not there in that community, then those communities—whether that be local or state—need to continue to invest in LMR. If that technology is … offered by multiple carriers [and] … provides the same level of capabilities that they expect with LMR, then that’s worthy of discussion and thought. John Locatelli, Avtec’s senior director of product management, echoed this sentiment. John Chaney, IT communications manager for the city of Irving, Texas, said his department is in the process of conducting such an evaluation for general-government personnel, instead of replacing their existing LMR radios, which he described as a “multimillion-dollar project.” In contrast, implementing PoC would result in “quite extensive” cost savings, especially when all factors are considered, he said. Additional cost savings can be realized by implementing a PoC solution through a wireless carrier, because the carrier maintains the push-to-talk infrastructure, not the city and its vendor, Chaney said. Beau Sands, IT manager for American Medical Response’s communications center and mobile-technology support team, agreed and noted other areas of potential savings by using PoC services. “We reduced our expenses tremendously by going to PoC, because we reduced the cost of tower rentals and everything else that goes along with that—FCC licensing and everything else, like repairs,” Sands said. But all panelists emphasized that they do not believe PoC—or the 3GPP standard for PoC known as mission-critical push to talk (MCPTT)—should be considered as a replacement for LMR today or in the near future. PoC technology and the associated ecosystem—devices, accessories and the network—need to be proven to meet public-safety performance and reliability expectations before entities consider halting their LMR investments, according to the panelists. MCPTT was approved by the 3GPP standards body as part of LTE Release 13 in 2016, and MCPTT-compliant components are beginning to enter the market. AT&T has announced plans to make some MCPTT features available on its carrier-integrated PoC platform from Kodiak—owned by Motorola Solutions—by the end of the year. A fully compliant MCPTT offering is expected to be available to AT&T FirstNet users from multiple vendors during the latter half of next year. Verizon also plans to introduce MCPTT next year, according to company officials. Stoddard said that his biggest concern is that the “mission-critical” terminology included in the MCPTT standard is creating problems for entities that need to fund upgrades to their existing LMR systems. “It isn’t necessarily public safety that’s making those decisions. It’s usually the budget people who are making those decisions and say, ‘We don’t need to spend that money anymore [for LMR].’ It creates confusion and a little bit of chaos. Webinar moderator Rob LeGrande, owner of The Digital Decision consulting firm, applauded carriers like Verizon and AT&T for making investments in MCPTT and LTE cores dedicated to serving mission-critical users, as well as pursuing potential solutions to the thorny issue of providing direct-mode communications that mirrors LMR performance. “The transition from LMR radio is not there yet,” LeGrande said. “The good news is the carriers are willing to provide purpose-built devices and apps and try to create those devices that would ultimately move to having off-network and device-to-device communications. The good news is that the carriers are investing in that direction, and we should want them to do that. Because, ultimately, providing a more reliable communications environment for our first responders—and all of government, quite frankly—is the ideal situation. While none of the speakers believe PoC or MCPTT should replace LMR for primary mission-critical voice uses, all of them noted significant benefits of having PoC augment LMR voice, citing good voice quality and expanded coverage outside an LMR network’s coverage footprint. In addition, PoC and gateways can enable talk groups to be established quickly that allow interoperability with users that normally would not have access to an LMR network. Free registration to hear the archived webinar is available at http://pages.iwceexpo.com/Push-Talk-Web-Series-2018?code=WEB. Even if eventually PoC networks and apps are considered stable and proven to be safe for mission ciritcal communications, should something as important as mission critical communications be left to just one resource? Especially one that is accessible by the public? It would seem wise to keep a minimum LMR network available as a back up. And which is more easily hacked? One that is connected to the public accessible network, or one that is a closed secure network for radio voice traffic only?